At 211 degrees, water is hot. At 212 degrees, it boils. With boiling water, comes steam. And steam can power a locomotive. And … it’s that one extra degree that makes all the difference! That’s what this little book is all about … how that one extra degree of leadership can make the difference not only in your own success … but also in the success of those you lead … and in that of your organization. I’ve always been fascinated with the qualities and characteristics of great leaders. History has identified many qualities and characteristics of great leaders, and, of course, no person embodies them all. But the great leaders I’ve known, or read about have one simple thing in common: They have developed their leadership styles around their personalities and their values, and in the end, their actions are consistent with what they truly believe. 212° Leaders have made the leap from good to great. They are able to not only rally the troops to committed, purposeful action, but also to create an environment where quality and innovation are the norm, rather than the exception. 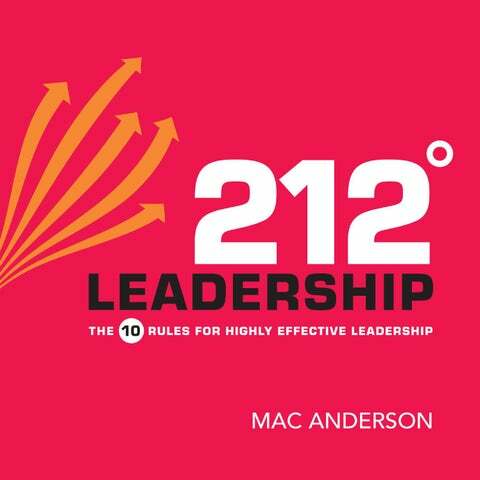 In this book, I’ve offered 10 rules for 212° Leadership. Hopefully they will make you think … help you grow … and inspire that extra degree of passion to take your leadership skills from effective to extraordinary! Are you ready to be a 212° Leader? SERVE … NOT LEAD “Leaders are leaders because they are the greater servants. The way up is down … ” — Francis M. Cosgrove Jr.
That was Walt. To his employees, he was not only a leader. He was their defender and their servant. That’s what separates leaders from bosses. Seeing a true servant leader in action can truly change your life. While I’ve had the good fortune to meet many successful businesspeople, authors and speakers during my career, I’ve never met anyone that “walked the talk” more than Ken Blanchard. Over the last 20 years, Ken has probably sold more books than any other business author. His classic, The One Minute Manager, has sold more than 10 million copies. He has also built a large training company with the focus on servant leadership and customer service. While visiting him at his San Diego office, I learned that one of his employees who worked in the warehouse had recently passed away. Ken had invited the employee’s wife to come to his office. When she arrived, he spent an hour walking around with her carrying a tape recorder to record all of the wonderful memories that other employees had of her husband. When the wife left, she said it was a day she’d never forget. You see, what many leaders would have considered a waste of time, Ken saw as an opportunity to serve and to thank his people. He doesn’t do it because it’s expected of him; he does it because he truly cares. It comes from the heart, and his people love him for being the servant leader that he is. Rare is the effective leader who didnâ&#x20AC;&#x2122;t learn to become a good follower first. That is why a leadership institution such as the United States Military Academy teaches its officers to become effective followers firstâ&#x20AC;&#x201D;and why West Point has produced more leaders than the Harvard Business School. Leadership is influence, nothing more, nothing less. Today’s generation of leaders seem particularly aware of this because title and position mean so little to them. 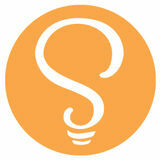 They know intuitively that people go along with people they get along with. Leadership is often easy during the good times. It’s when everything seems to be against you—when you’re out of energy, and you don’t want to lead—that you earn your place as a leader. s a leader, it’s natural to assume that your focus should be on bringing in … and retaining customers. While that, of course, is the end goal of any business, 212° leaders must change their focus INTERNALLY … to recruiting … and retaining their best people.